This photograph shows J.A. Flook's reservoir in Garden City, Finney County, Kansas. 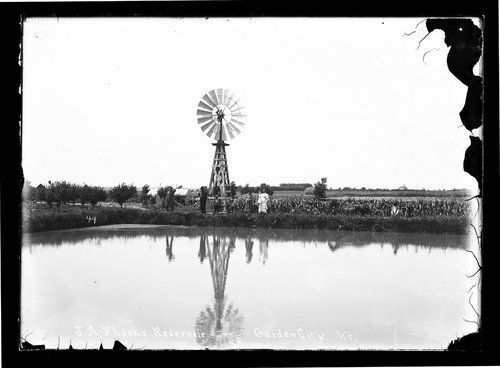 A windmill and a number of people are also visible.